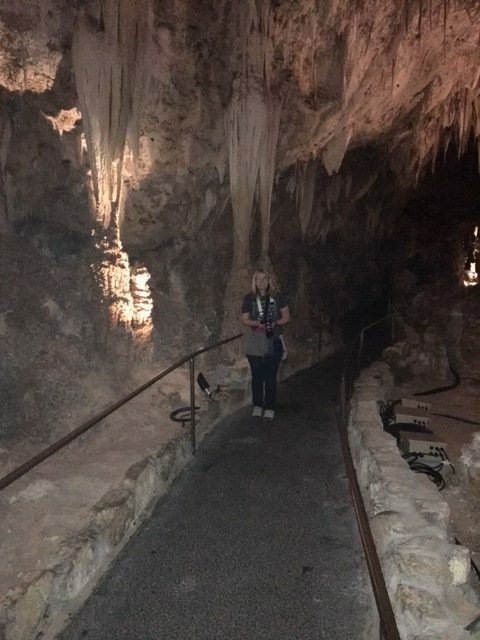 Carlsbad Caverns – Live MoHo! 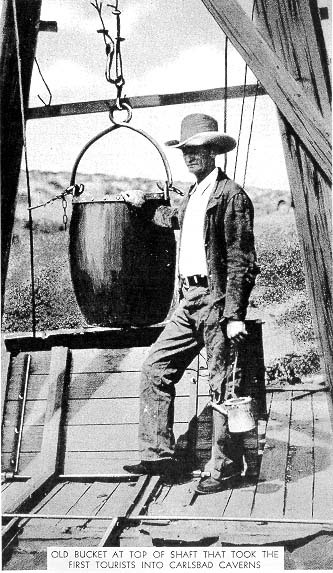 16 year old cowboy Jim White scanned the horizon near the Guadalupe mountains of New Mexico. He was searching for stray cattle and the sun was setting. His horse was restless and he was nearly ready to setup camp for the night. Taking one last look, he spotted a cloud of smoke rising against the orange glow of the sunset. Fire on the prairie could be a big problem for his cattle ranch. He was confused though, since there were no thunderstorms that day to bring lightning and he wasn’t aware of anyone else riding out in this area who might have carelessly started a brushfire. Jim knew he needed to check the area out, he needed to do it fast since darkness was falling. Riding as quickly as he dared in the fading light, he reached a ravine and his jaw dropped in surprise. In front of him was a massive open hole in the side of a cliff and what he thought was smoke turned out to be thousands and thousands of little bats. Most people would have turned in terror at the sight of an endless stream of bats boiling up out of the earth itself, but not Jim. Ever since Jim was little, he was an explorer and free spirit. 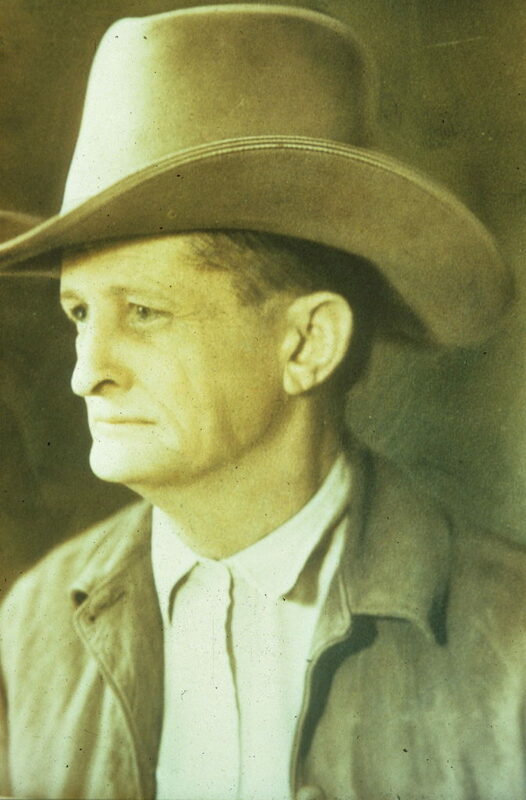 Jim was born in 1882 in Mason Texas but left at the ripe old age of 10 to head to the New Mexico territory to work as a cowboy. Undaunted by the risk or his lack of equipment, expertise, or training, he returned to the hole with a crude 50′ ladder he made out of fencing wire and sticks he hacked from nearby bushes. 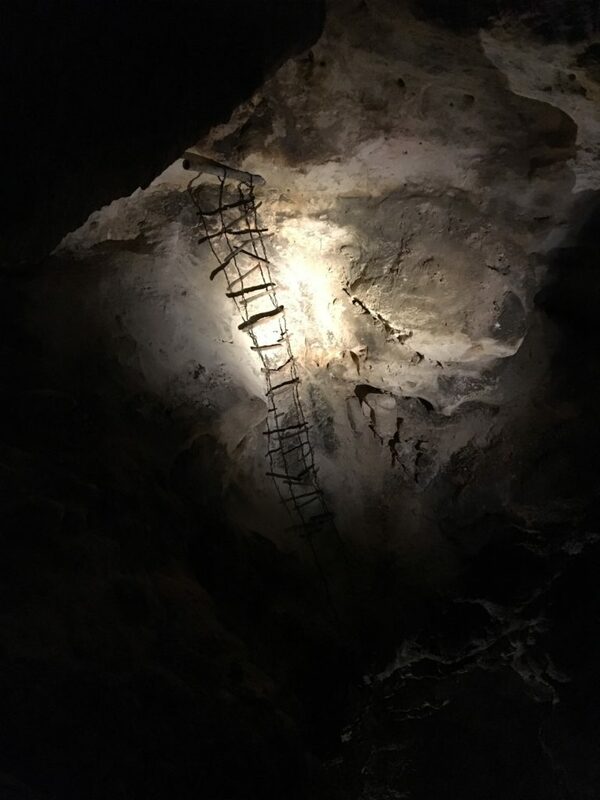 Armed only with this ladder and a single homemade kerosene lamp, he began climbing into the gaping mouth of what is now known as Carlsbad Caverns. 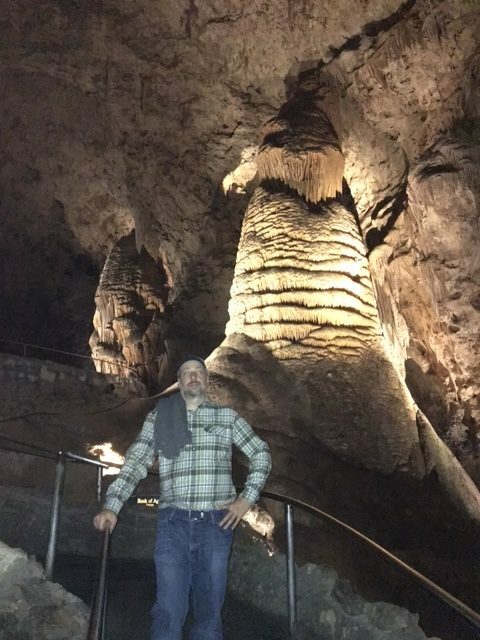 White explored the caverns for a few days entirely on his own, then returned several days later with an unnamed Mexican boy known only as “pothead” and the two of them proceeded to explore much of what is now the main tourist route into the cave. Word of the caverns began to spread, but few believed the fanciful tales of massive underground rooms filled with spectacular formations. In fact, the only real interest came from guano miners who wanted to dig out the massive quantities of bat guano that they believed must be in a cavern with so many bats. It wasn’t until a photographer accompanied White into the cave and returned with photos of the caverns that White’s outlandish stories were accepted as fact. 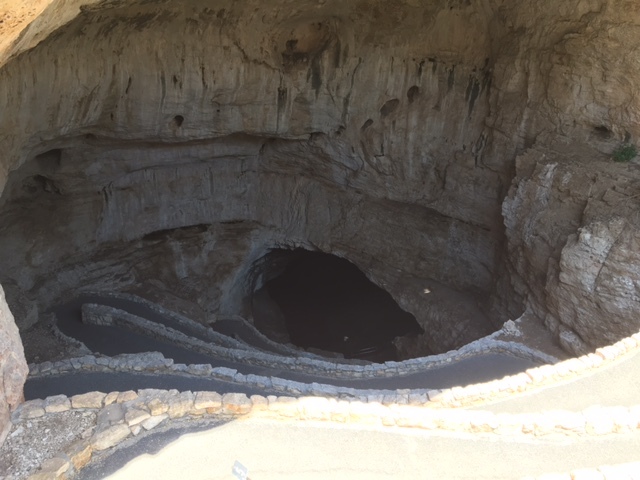 In 1923, President Coolidge designated Carlsbad Caverns National Monument. 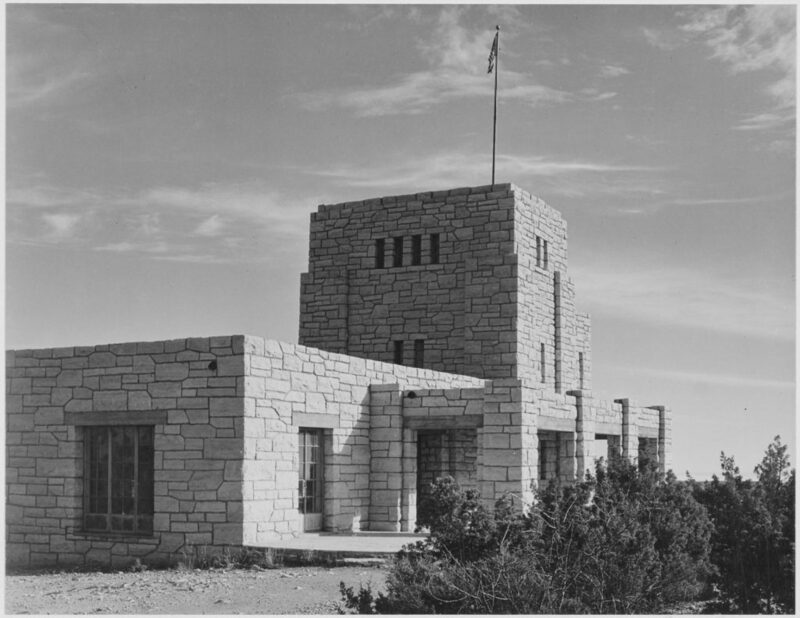 In 1932 Carlsbad Caverns became a National Park, complete with elevators that could whisk visitors to and from the main cavern floor in less than 2 minutes. Prior to the elevators, the only way out was back up through the natural entrance which many guests had difficulty ascending.Some guests were able to use an elevator of sorts prior to 1932. 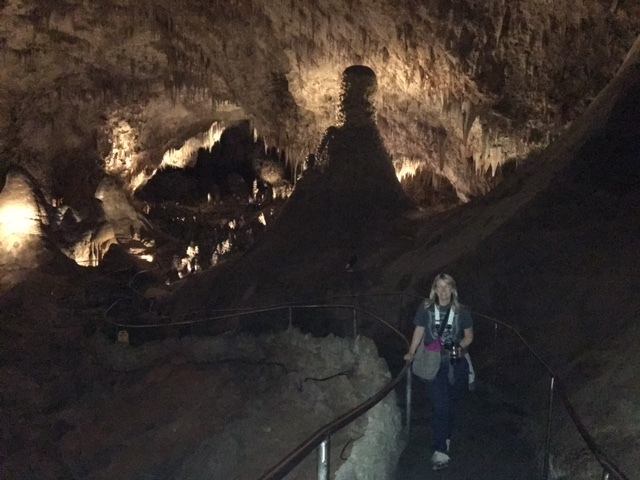 A bat guano mining operation existed at the caverns and guests could ride up the guano bucket. Once the main elevators were installed, the caverns became much more accessible to the general public. Like today, most guests walked in the natural entrance and then exited up the elevator. The path drops over 800 vertical feet over the course of a mile, with half of that drop coming in the first quarter mile. 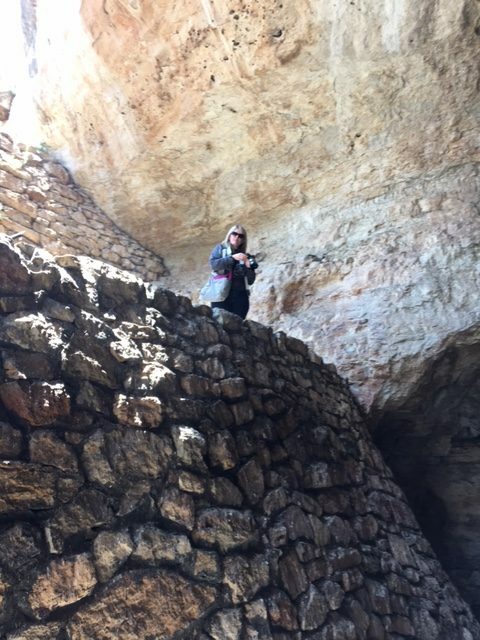 I suited up and got ready to go into the cave. Today, a series of paved – but steep – walkways descends into the same entrance Jim White and Pothead first followed back in 1898. Not kidding about the steep drop! Descending the natural entrance is a nearly vertical drop for about 300 feet at which point the cave clearly goes in two directions. Turn right and continue to the main caverns, turn left and go to the bat cave. Fortunately the bat cave is off limits so the choice is easy. 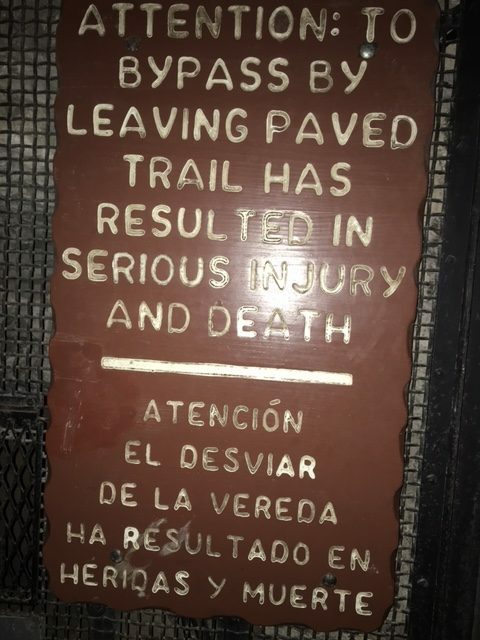 Since the tour is self-guided there are signs warning visitors to stay on the paths. Because apparently, people who don’t tend to die. 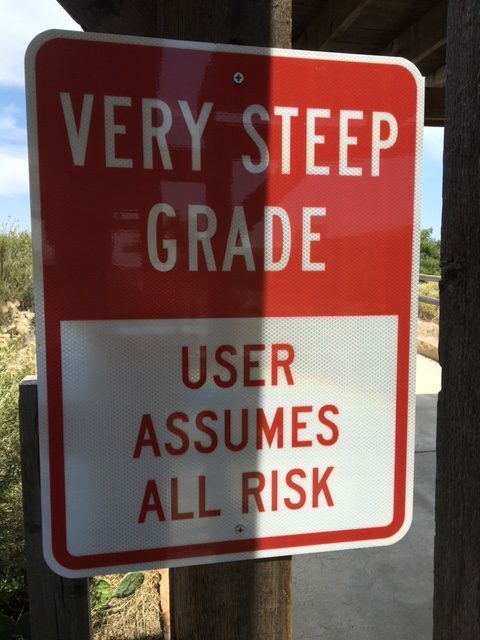 Based on the idiocy at Yellowstone this year, I’m not sure how well these signs work, but it definitely looked dangerous to leave the path. 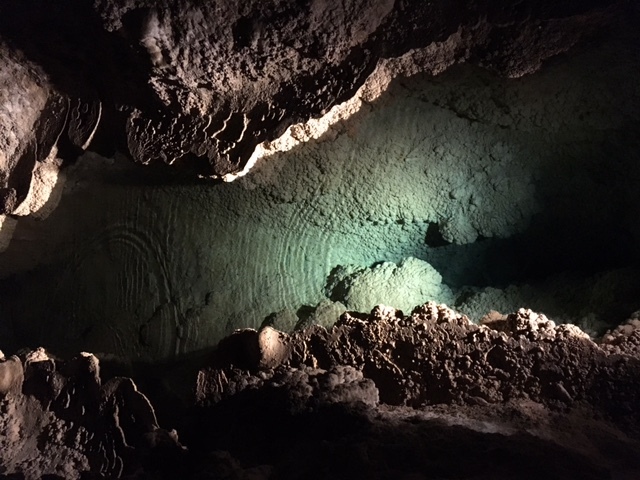 At about the 400′ below ground mark, the majesty of the cave starts to become apparent. 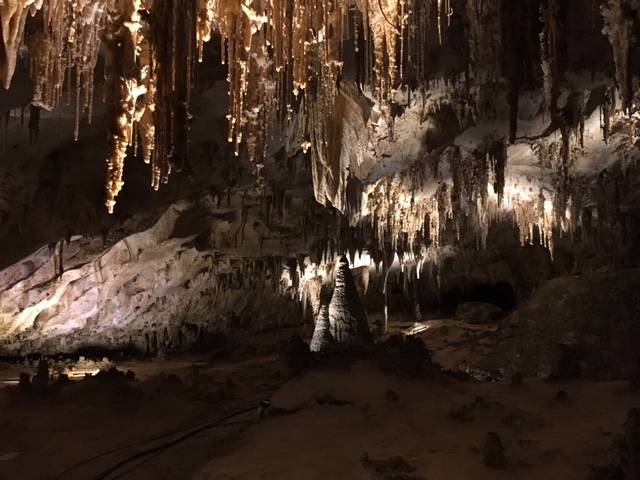 Pictures just do not do justice to the caverns! They are enormous. The appropriately named “Big Room” is over 4,000 square feet and would fit a Boeing 747. Other rooms include the King and Queen’s chambers which are full of splendor and formations. 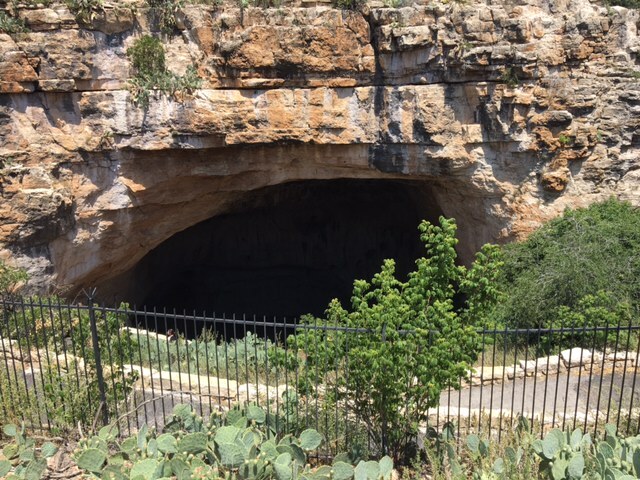 Carlsbad is still a living cave, meaning that formations are still being created by dripping water. However, many parts of the cave have dried out and indeed the multi-year drought has led to quite a few of the pools also having dried. This one, called the “Green Lake” is still full of water that is the most amazing crystal green color. Many formation have colorful and imaginative names, like this large stalagmite called the “rock of ages.” Again, its hard to get a sense for the scale of these formations from the photos. 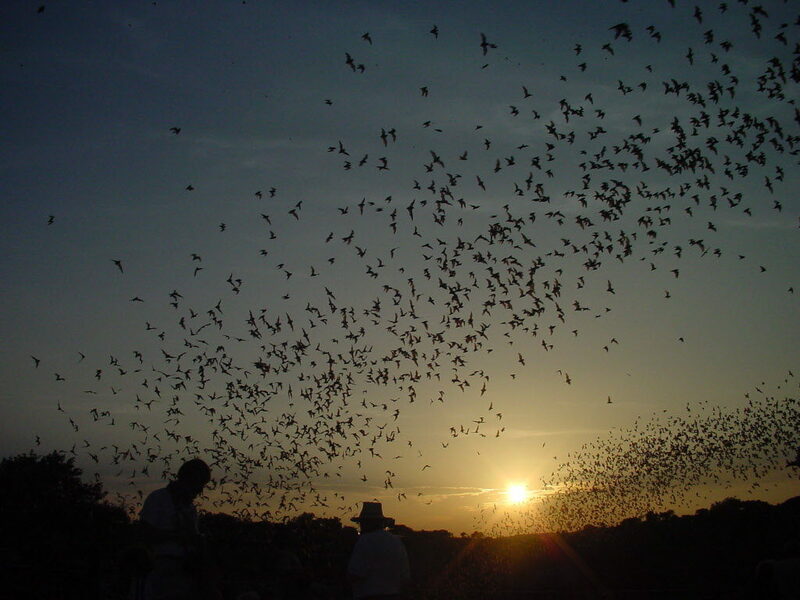 There are an estimated 400,000 Mexican Free Tailed bats living in the Bat Cave. As this old postcard shows, the bats leave each night in search of insects to eat and return at dawn the next morning. 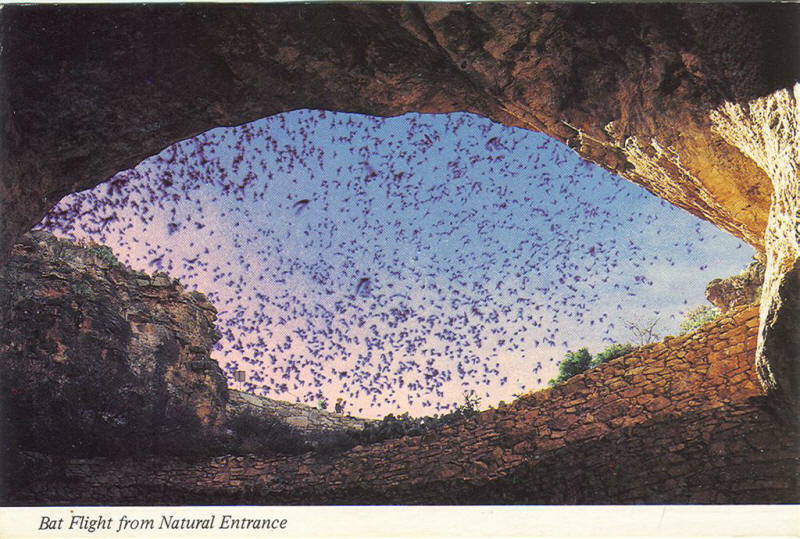 The bats cannot fly straight up out of the cave, so they fly in a massive spiral gaining altitude with every turn until they clear the entrance and can set out across the landscape. It is an amazing sight to see. The National Park Service has built an amphitheater at the top of the natural entrance so visitors can sit and watch the bats emerge. All cameras and cell phones are banned so we didn’t get any photos. 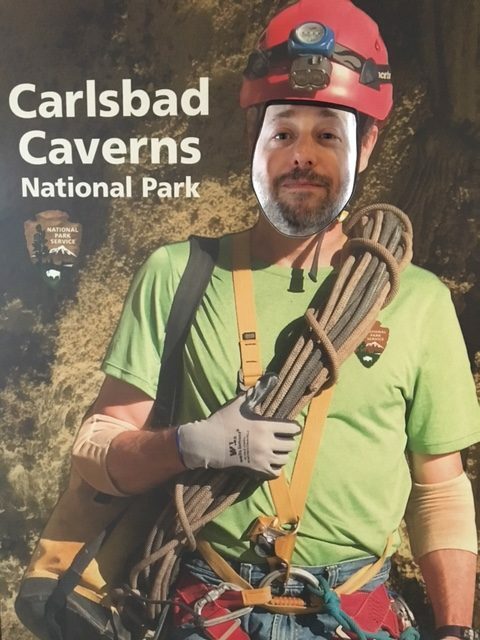 Be warned – Carlsbad is remote and the only reason to go there is the Caverns (which are about 20 miles southest of town). 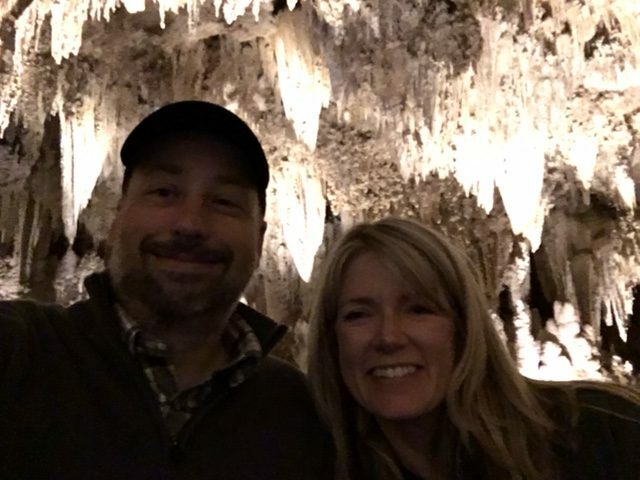 I would go again because the caverns are just that amazing, but its a big commitment in travel time to see this one attraction.